Bacteria and disease show no mercy to any organism they can effectively attack, including plants. Yet, plants can also develop an immune response against these threats from their complex genetic makeup. Scott Peck’s research delves into how plants do this and how bacteria evade those defenses. Over the course of the last decade, the Bond Life Sciences Center investigator and professor of biochemistry has specifically looked into how plants are able to initially perceive and respond to potential bacterial threats through phosphorylated proteins and pathogen-associated molecular patterns. 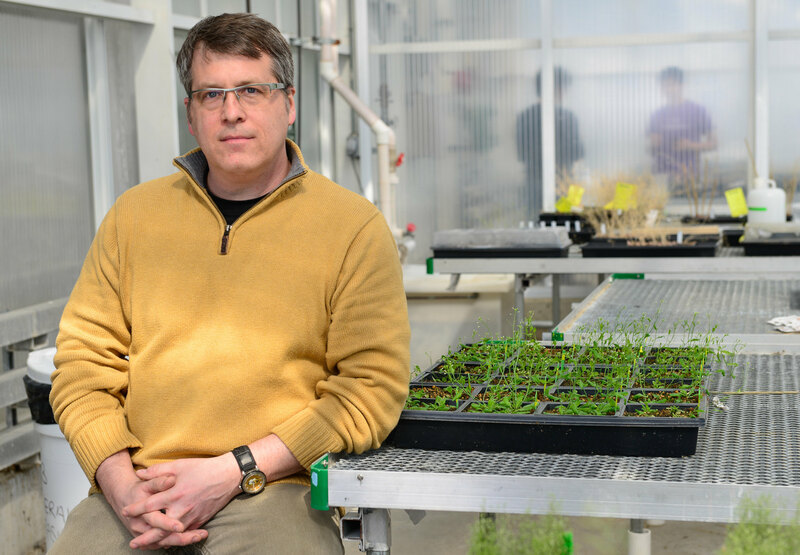 Peck recently published new work from his lab that observes how plants receive messages from potential pathogens and how they develop an immune response to these pathogens on a genetic level. Similar to humans and animals, plants have a sensory immune response to know when a foreign object, such as a potentially infectious pathogen, shows up. One way they do that is by using receptors to detect certain molecules particular to an enemy like bacteria or viruses when they encounter the surface of a plant’s cells. These pathogen-associated molecular patterns, or PAMPs, are recognized by the plant’s innate immune system and cause the plant to create a chemical defense against them. More specifically, when PAMPS are perceived, cells activate messenger proteins called mitogen-activated protein kinases (MAPKs), which signal the plant of a potential problem. Because too much defense signaling can be harmful, another protein, MAP kinase phosphatases (MKPs), helps the cell determine how much of a defense response the cell should make against the enemy. To better understand the plant’s processes of recognition and response to a potential pathogen, two separate studies analyzed how MKP1 is regulated and which cellular pathways are regulated by MKP1. Both of these studies are able to help us better understand how one particular plant protein reacts to a potential threat. Peck made it clear that proteins and responses are altered during defense responses. The next step would be to better understand how these processes interact to help the plant defend itself against a variety of pathogens. “By really understanding how the plant does what it does under the best circumstances, we can try to then, either through traditional breeding or engineering, get plants to grow and reproduce without being as vulnerable to pathogens,” Peck said.